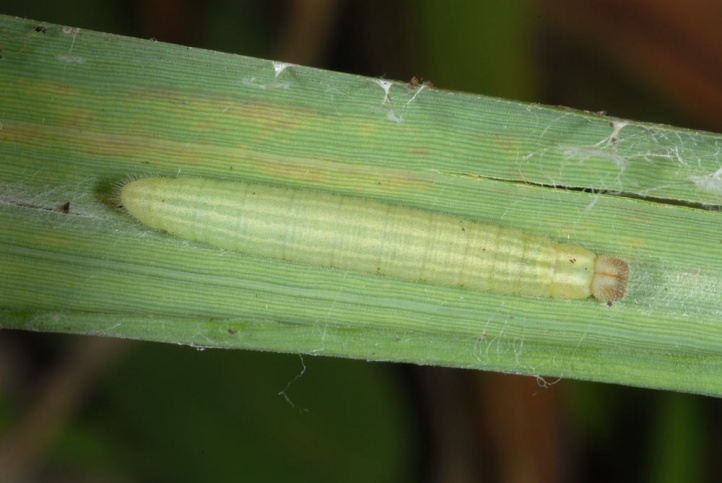 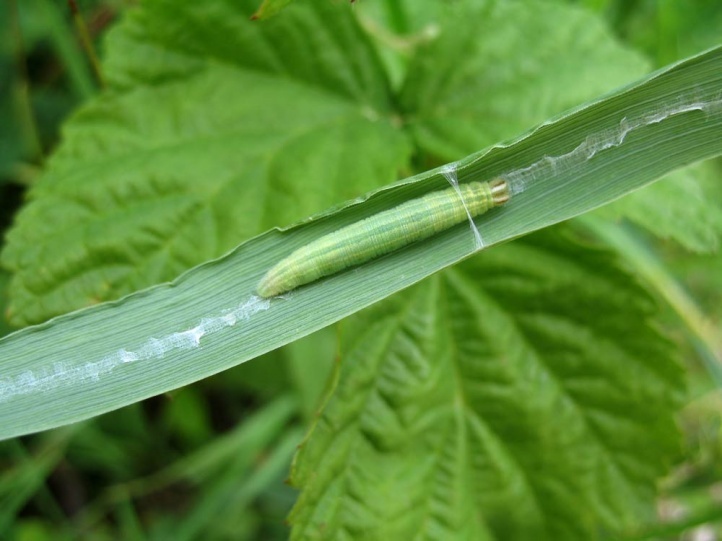 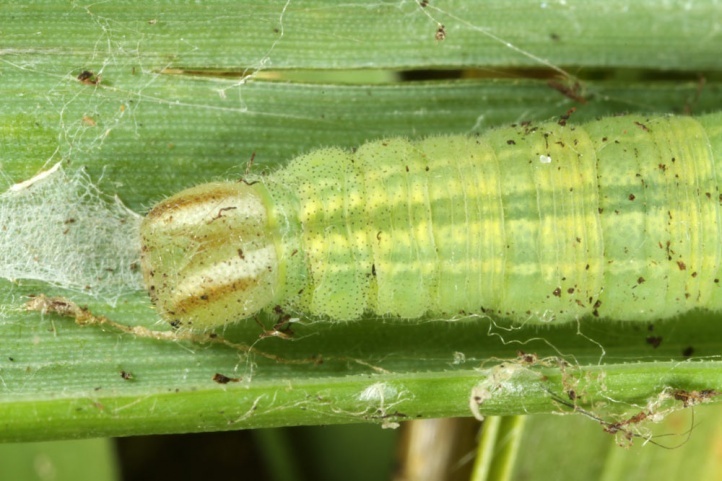 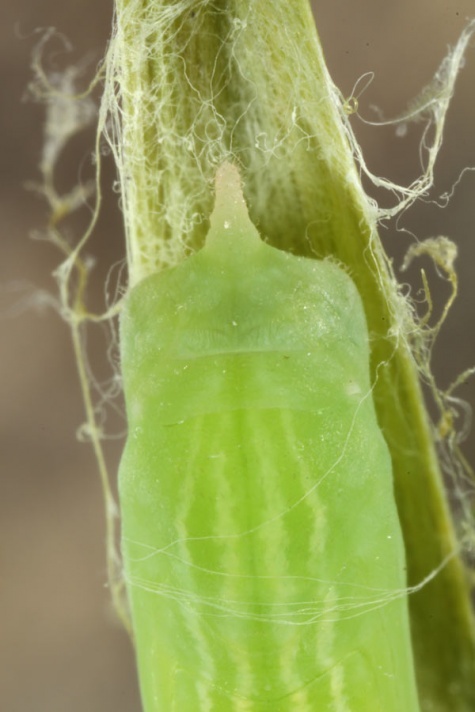 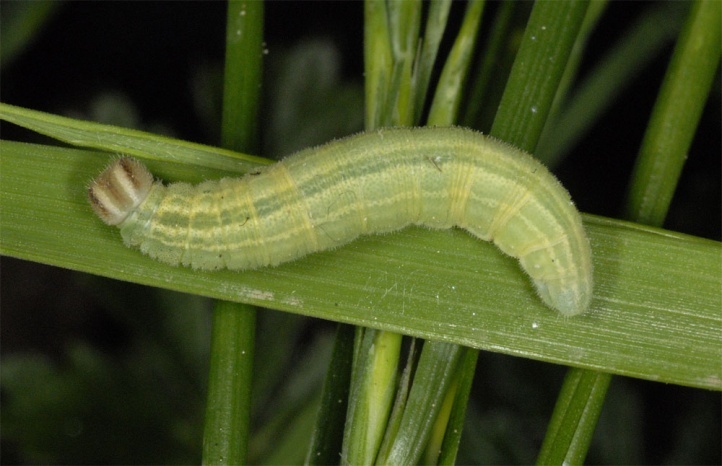 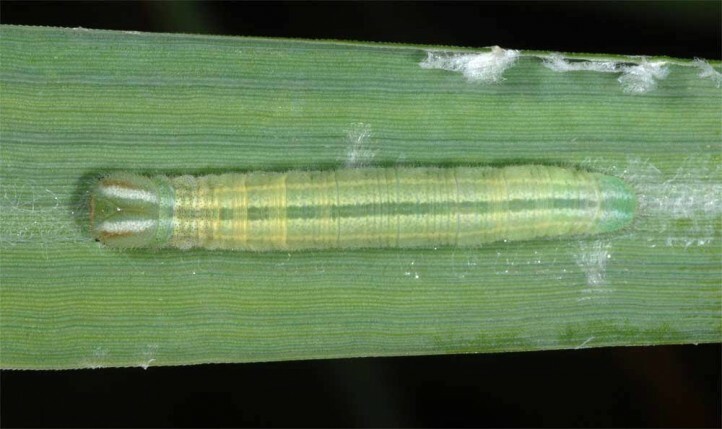 The larva feeds on grasses, especially Brachypodium, Calamagrostis and Agropyron repens. 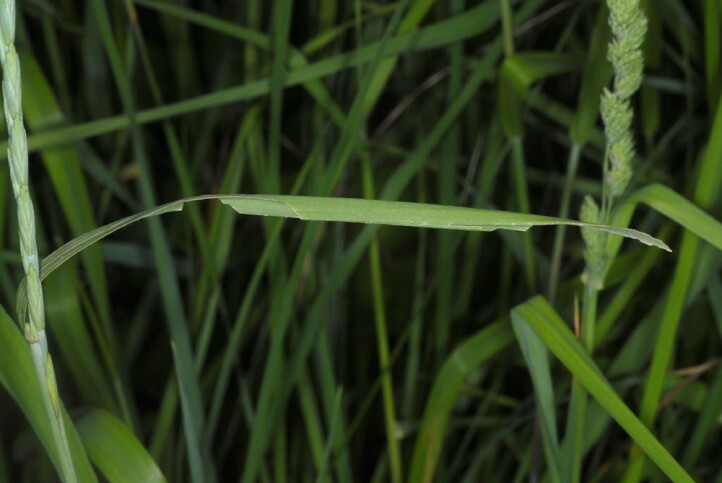 Thymelicus lineola colonizes uncut or - in lower numbers - late cut grasslands of all kinds. 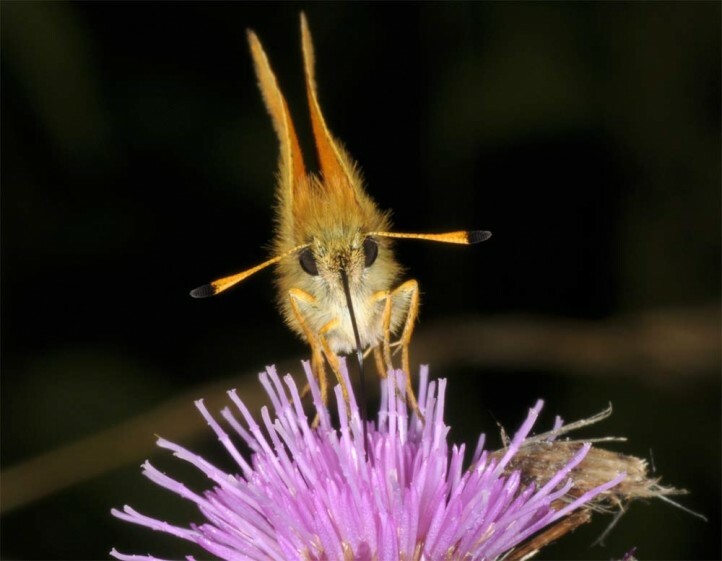 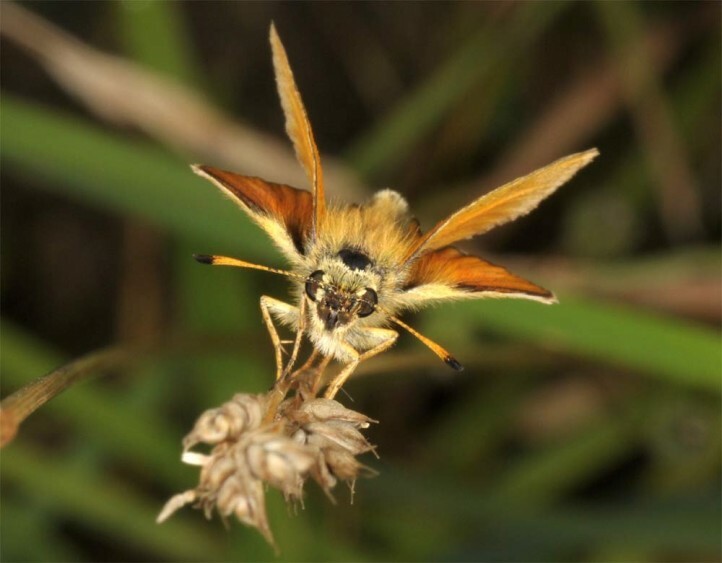 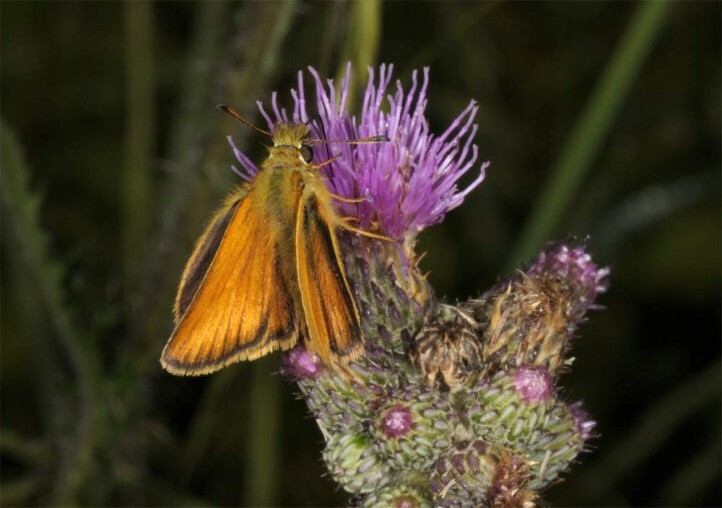 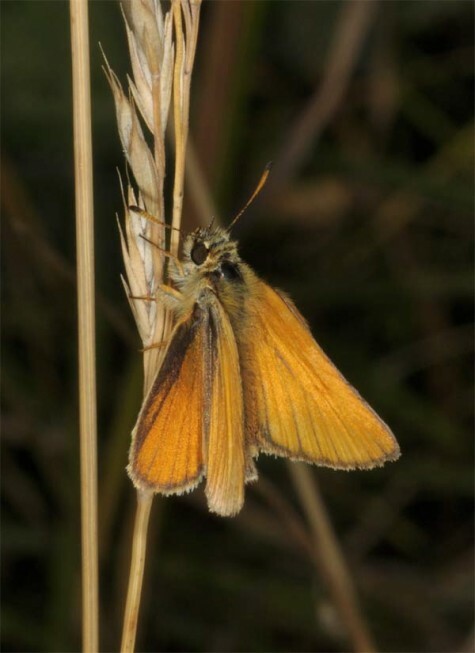 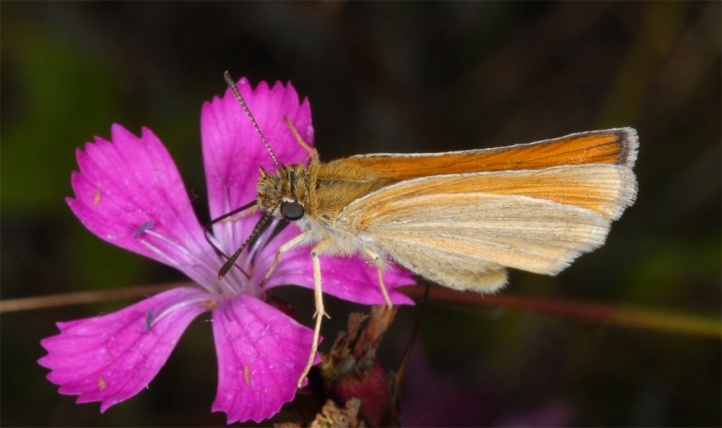 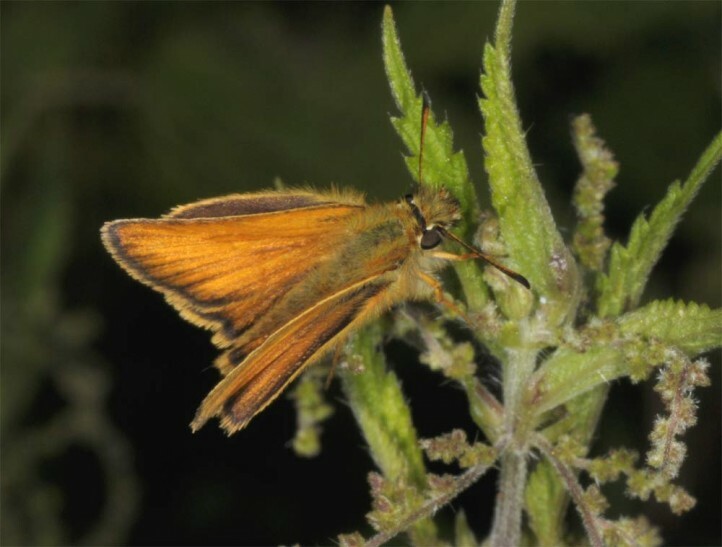 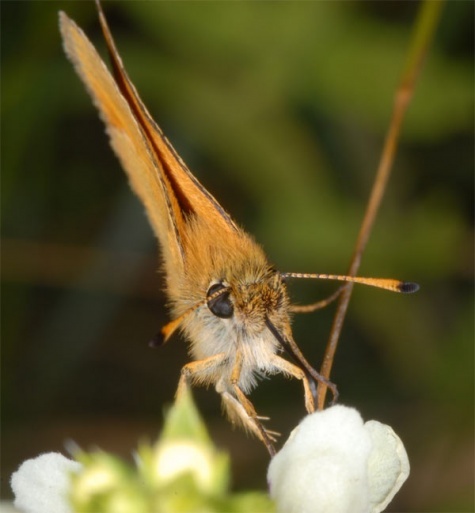 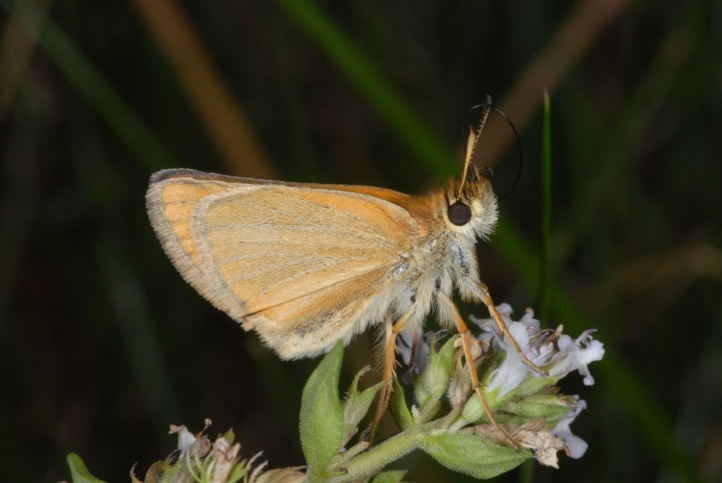 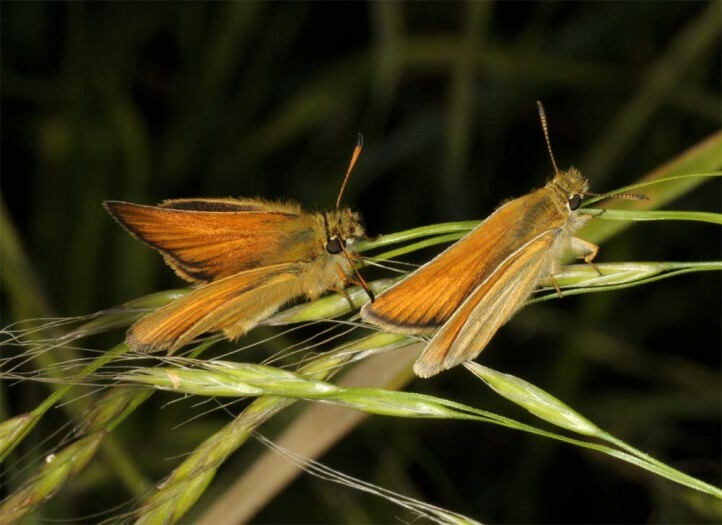 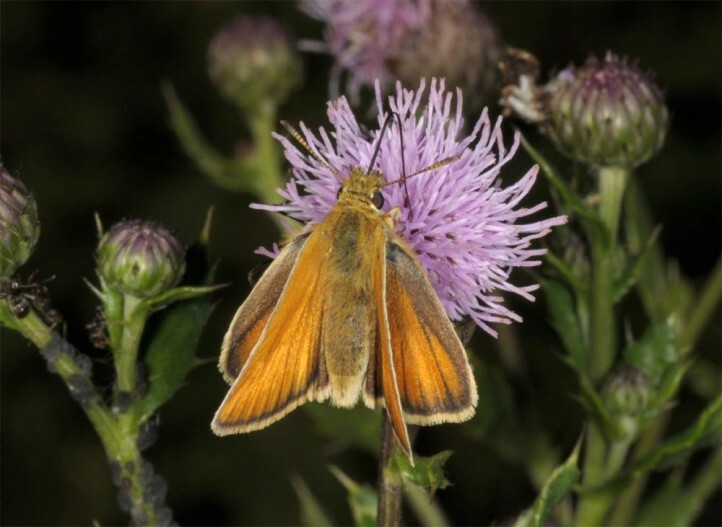 The butterflies often occur together with Thymelicus sylvestris on fen meadows and clearcuts and along with this species and Thymelicus acteon in semi-arid grasslands. 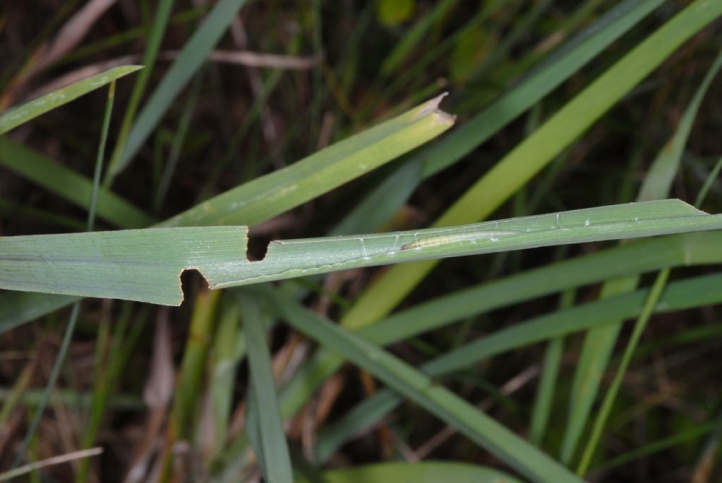 It also penetrates into arable areas and ruderal terrain. 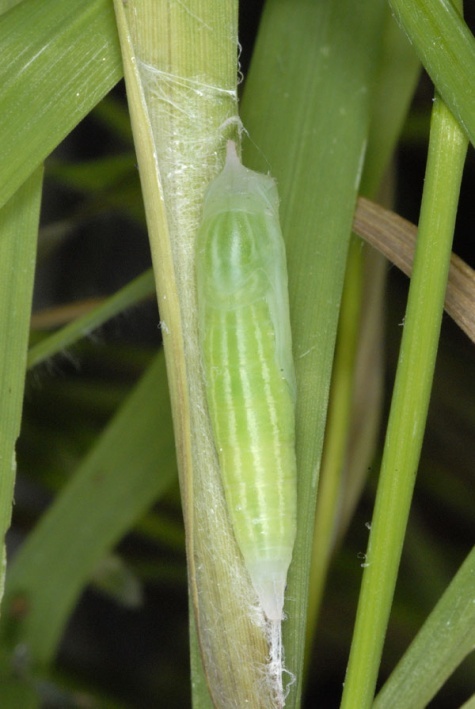 At Memmingen I observed Thymelicus lineola often on now mostly overbuilt ground excavatíon hills populated with camomiles and Agropyron repens, where the eggs were often simply dropped to the ground by seated females (a fixation of the eggs in grass sheaths also occurs). 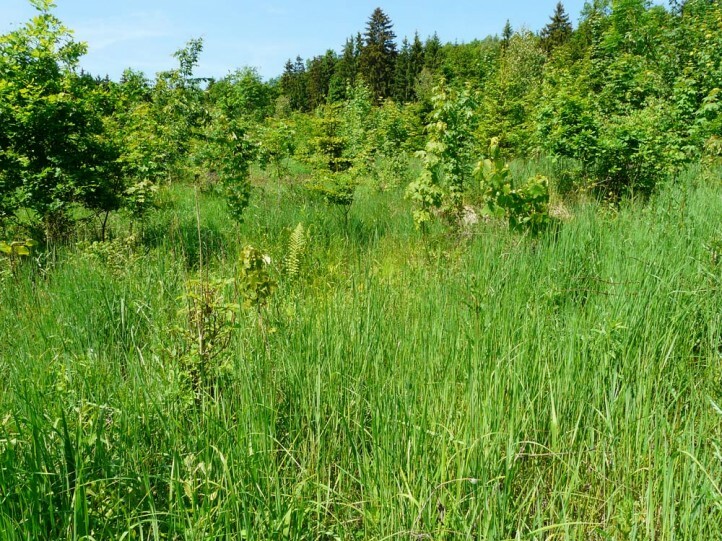 Finally, there seems to be an slight peak in drier and warmer habitats, wheras Thymelicus sylvestris slightly prefers more humid habitats. 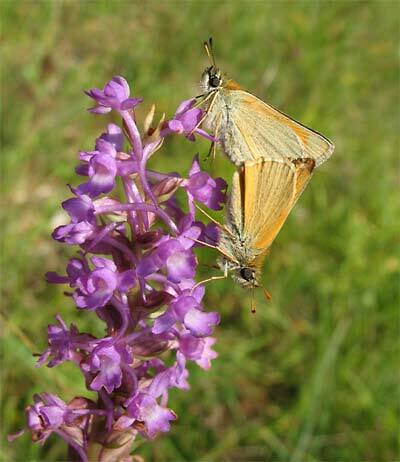 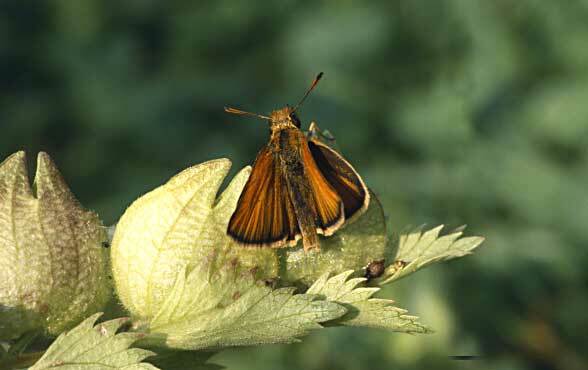 But except for fiel edges there are hardly habitats in Central Europe where really only one of the two species occurs. 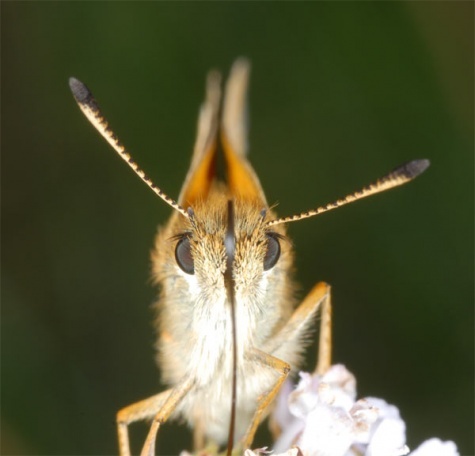 However, a different frequency is often observed. 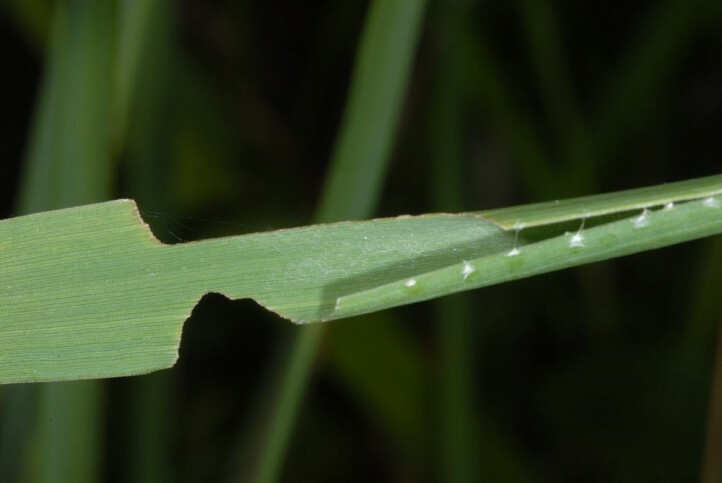 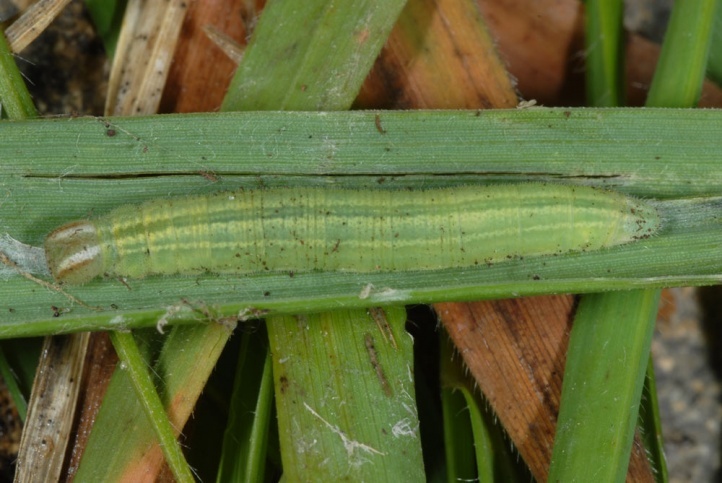 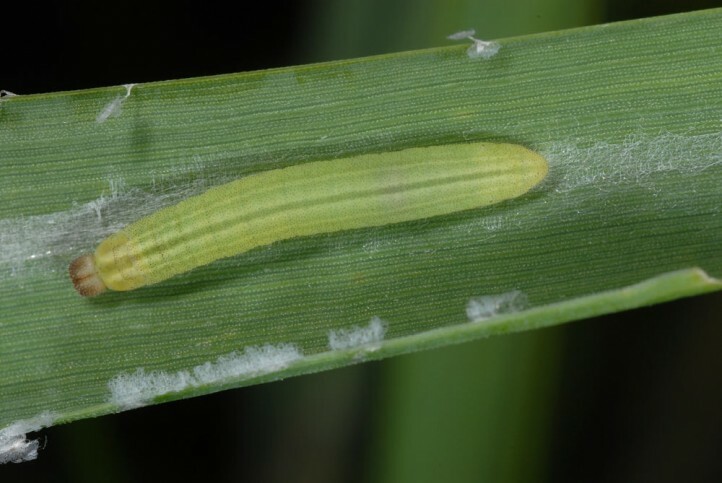 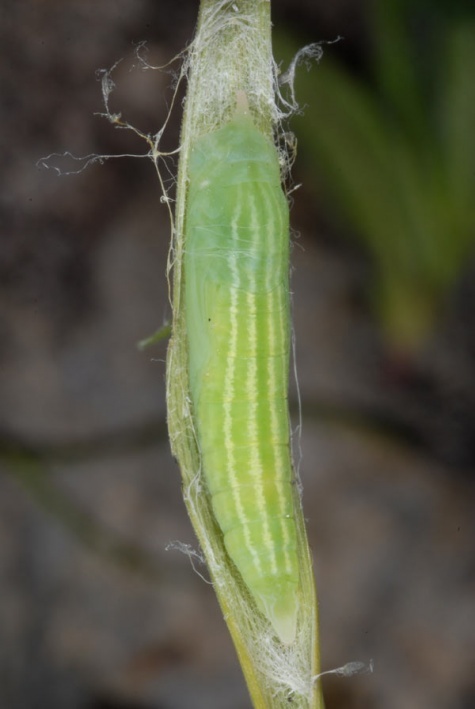 I observed caterpillars often at Agropyron or Calamagrostis in late May and early June, usually a little later than those of Thymelicus sylvestris. 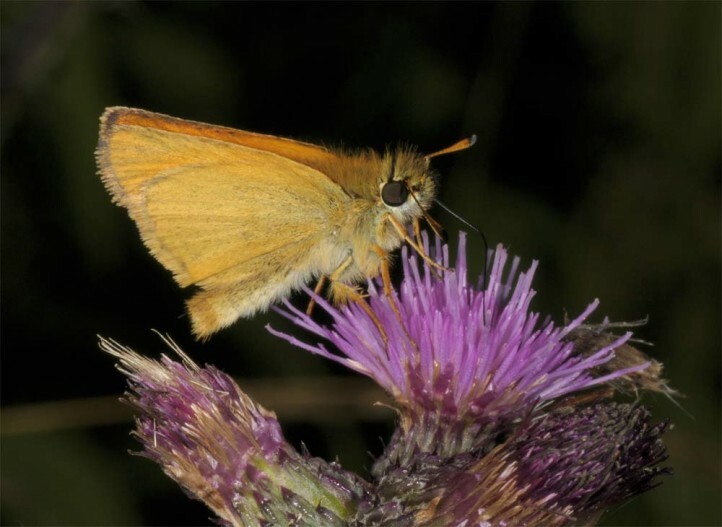 The adults fly from late June through August. 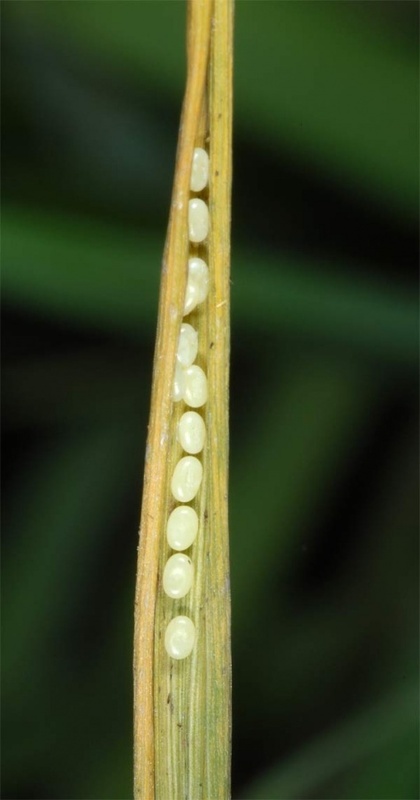 Hibernation takes place as a larva within the egg shell. 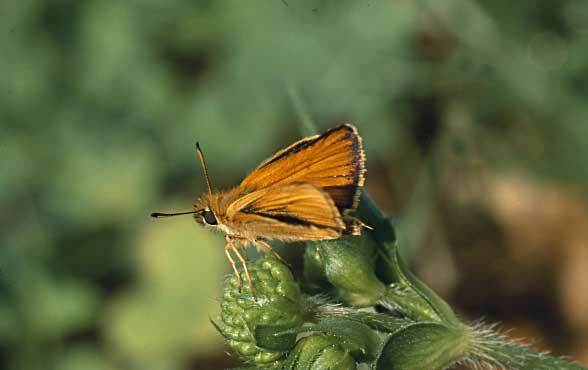 Thymelicus lineola is not endangered. 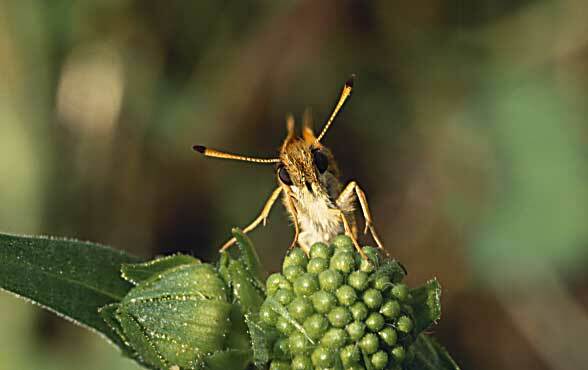 The distribution covers North Africa, Europe and large parts of temperate Asia. 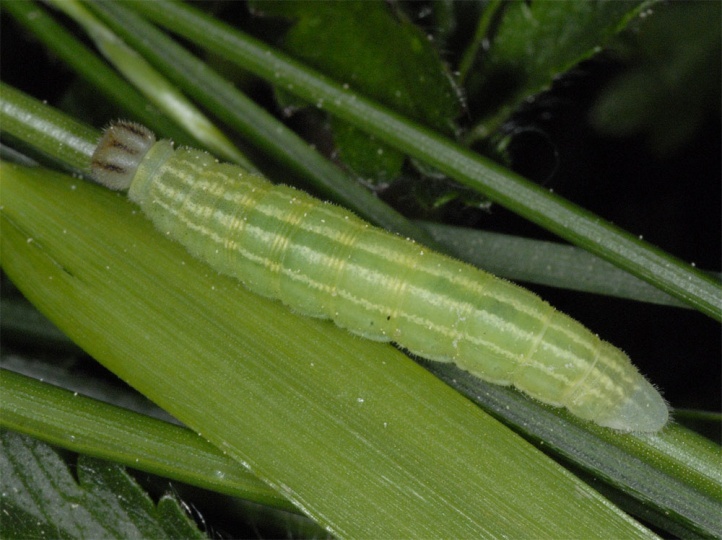 In North America, Thymelicus lineola was introduced.